The aim of BETA is to ensure that everything possible is done by managers and employees to encourage and maintain good employee relations, in order to ensure a motivated workforce and the successful delivery of the mission and objectives of BETA. BETA is committed to dealing promptly, fairly, and consistently with employee complaints and this procedure provides a framework for doing so. This should not only result in staff concerns being addressed but also provide a way of reconciling any differences and implementing workable solutions. This procedure has been compiled in line with ACAS guidance and embedded within it is the Statutory Grievance Procedure. 2.3 If a complaint is raised by an employee in writing, including e-mail, BETA will deal with the matter formally rather than informally. Where the complainant is concerned about a formal approach being taken the Group Training Manager of BETA will endeavour to meet with the complainant to explore the options and explain the rationale for the proposed way of dealing with the situation. 2.10 An employee who raises a grievance should not be subsequently disadvantaged in any way. However, if an employee’s grievance is considered, following investigation to be potentially malicious and to have been made in bad faith, then an investigation will be held in accordance with the Disciplinary Procedure. 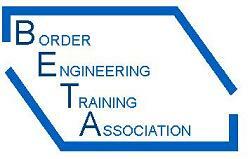 3.1 This procedure applies to all employees of Border Engineering Training Association. 3.3 In situations where a grievance relates to several issues the Group Training Manager reserves the right to decide how it should be best dealt with under the procedures available. Prior to making a final decision however, the Group Training Manager or a Human Resources specialist will endeavour to meet with the complainant to explore the options and explain the rationale for the proposed way of dealing with the situation. 3.4 On occasions it may be appropriate to move from the Grievance Procedure to another procedure. For example, if during an investigation it becomes apparent that a disciplinary offence may have occurred, the grievance investigation may be delayed to allow for the disciplinary procedure to be invoked. In this situation the complainant may become a witness to the disciplinary investigation. 3.5 In situations where an employee going through the disciplinary process raises a grievance in respect of matters not related to or connected with the disciplinary action being considered against them then the grievance will be considered under this procedure. 3.6 This policy should be read in conjunction with BETAs Equality Policy and Procedures. 4.0 WHAT CONSTITUTES A GRIEVANCE? 4.1 The definition of a grievance is “a complaint by an employee about action which his/her employer has taken or is contemplating taking in relation to him/her, or any omission to act on a matter relating to his/her employment”. 4.12 Any act or omission related to industrial action. 5.5.1 You have a grievance about your employment you should discuss it informally with your immediate manager. We would hope that the majority of concerns will be resolved at this stage. A resolution at this point has the advantage of dealing with the problem quickly while also maintaining and building good working relationships between an employee and their manager. 5.1.2 Informal discussions will normally be a one-to-one between an employee and their line manager. The line manager should undertake an initial investigation to establish the facts of the situation. They will then have an informal discussion with the employee during which the line manager will discuss the nature of the complaint, their findings and suggested solution(s). 5.1.3 If an employee remains unsatisfied by the response given to their complaint they should formalise their concerns by raising a grievance in writing. 5.2.1 If an employee feels that the matter has not been resolved through informal discussions, or is too serious to be raised informally, they should put their grievance in writing to their immediate manager. The employee will receive a reply and a meeting will be arranged within 10 working days. The employee, their manager, a HR specialist and any relevant witnesses will attend the meeting. The employee has the right to be accompanied by a trade union representative or work colleague. The manager will give a written response within 5 working days of the meeting and will inform the employee of their Right of Appeal i.e. to Stage 2.
b) Is of too personal or sensitive a nature to raise with their immediate line manager. 5.2.3 Where a grievance is raised against an individual, that individual should be provided with details of the grievance unless there are particular circumstances where this is not appropriate. The employee raising the grievance should be informed that this is to take place. 5.2.4 If a grievance relates to actions of another manager or the College as a whole then it should be put in writing to the HR Director who will appoint appropriate managers to investigate and hear the grievance. 5.3.1 If the employee is not satisfied with their manager's response, they may raise the matter, in writing, with a more senior manager (i.e. their manager's manager). A meeting will be arranged, constituted as in Stage 1, except that the senior manager will replace the manager. The senior manager will give a response within five working days of the meeting. Where the grievance has been dealt with previously under Stage 1, this decision will be final. 5.3.2 Where the grievance has only been addressed under Stage 2 of this procedure, but the employee is not satisfied with the decision reached then the employee will have a Right of Appeal i.e. to stage 3 . 5.4.1 If the matter is not resolved to the employee’s satisfaction, the employee should put their grievance in writing to the relevant member of the management committee Team (MCT). The employee will receive a reply within ten working days and a meeting will be arranged. The constitution of the meeting will be as in Stage 2 except that the MCT Member will replace the senior manager. The MCT Member will give a decision within five working days of the meeting. This decision will be final. 5.5.1 A grievance meeting shall not be convened until a reasonable investigation has been undertaken. 5.5.2 The manager will seek to establish the facts by carrying out investigatory interviews with relevant persons as well as analysing written records and information. In normal circumstances any person interviewed will be requested to sign a written statement and will be advised that they may be requested to appear at any subsequent grievance meeting. Only in exceptional circumstances will the identity of any witnesses be kept confidential. 5.5.3 Following the completion of an investigation a grievance meeting will then be convened (unless it appears in the course of the investigation that a disciplinary offence may have become apparent in which case the disciplinary procedure may be invoked. 5.6.6 The possible outcomes of the meeting i.e. that their grievance may be upheld, partially upheld or not upheld. 5.6.7 Copies of any written statements or any other documents made by individuals during the course of the investigation, and which will be referred to at the grievance meeting, will also be enclosed with the letter to the employee. 5.6.8 The employee must make reasonable efforts to attend the grievance meeting. Where an employee cannot attend for example because their trade union representative or work colleague cannot attend on the specified date/time they should inform the Chair as soon as possible and can suggest another date so long as it is reasonable and is not more than five working days after the date originally proposed. However, this five day time limit may be extended by mutual agreement. 5.7.1 The employee will be given an opportunity to clarify their complaint/present their case. 5.7.2 Clarification on any issues can be sought from either side. 5.7.3 The meeting will then be adjourned to allow the Chair to fully consider the points raised and the circumstances. The Chair will be advised by a HR specialist if required. 5.7.4 After deliberations the meeting will then be reconvened. At this stage the employee may be informed of the decision reached, and the reasons why, or if it is felt by the Chair that further investigation is required then an extension will be agreed. If the case is particularly complex and further time to consider is required the employee will be informed of the decision in writing. 5.8.4 Not uphold the complaint. e) - Any appropriate recommendations for further action by any party. 5.8.10 Unless the grievance is upheld in its entirety, the employee will be informed that they have the right of appeal against the decision. 5.9.1 The decision reached by the Chair will be made, in writing, normally within 5 working days of the meeting, and should clearly state the outcome and notify the employee of the right of appeal against the decision if he/she is not satisfied with the response. 5.9.3 If the grievance is against the actions and/or decisions of another member of staff, the outcome must also be communicated, in writing, to that individual. 6.1 An employee has the right to appeal within 5 working days of the date of the written response. 6.5 The employee thinks the grievance procedure was not correctly used. However, an employee cannot appeal against the level of disciplinary sanction imposed on another employee as a result of disciplinary action undertaken in light of their grievance. 6.6 The Right of Appeal will be held under the next stage of the grievance procedure i.e. raised formally at stage 1, appeal made to Stage2. 6.7 There is only one Right of Appeal available under this procedure i.e. grievance cannot be heard under all three stages. Appeal decision is final. 7.2 In cases where a grievance is made against a member of the Management Committee team (MCT) this will be heard by another member of the Management Committee in the first instance, with an appeal to the Chairman. 7.3 In cases where a grievance is raised against the Group Training manager this will be referred to the Chair of the Management committee who will determine, in discussion with the vice Chairman, the most appropriate way to consider the matter. 8.1 If a grievance is raised on behalf of at least two employees by a trade union representative then it may be appropriate for the problem to be resolved within existing collective agreements between the recognised trade union and BETA. 8.2 Where a group grievance occurs without the involvement of a trade union representative then the matter should normally be considered at stage 2 of this procedure. 8.4 Where an employee raises a grievance after leaving BETA employment the employee should write to the Group Training Manager as soon as possible setting out their grievance. 8.5 If it is then agreed in writing by both parties that the Modified Grievance Procedure be used i.e. that a face-to-face meeting is not required a reasonable investigation will be undertaken. 8.6 Following investigation, the Group Training Manager will write back to the ex-employee setting out BETA’s response. 8.7 If no agreement reached BETA is to use the Modified Grievance Procedure, the Group Training Manager will arrange for a formal Grievance meeting to be held. 9.1 In certain circumstances it may, with mutual agreement, be helpful to seek external advice and assistance during the grievance procedure. For instance, where relationships are strained, an external facilitator might be able to act as a conciliator, mediator or arbitrator to help resolve the problem. This intervention should be initiated in consultation with the HR Director. 10.9 All formal documentation relating to the formal stage of this Procedure will be held within BETA’s offices and in accordance with BETA’s Data Protection Policy. 10.10 Copies of meeting records will be given to the employee including copies of any formal minutes that may have been taken. 10.11 In certain circumstances (for example to protect a witness) the College may withhold some information. 11.1 Border Engineering Training Associaiton will monitor and review its Grievance Procedure to reflect its needs, experience and statutory obligations as necessary. 11.2 This policy will be reviewed no later than August 2012.